In fact, Firefox did absolutely nothing. A loading dialog was meant to appear while things were being processed in the background, and then it was meant to redirect to a new URL. Firefox just decided to refresh the current page instead. Not very helpful! Looking at the Error Console located under the "Tools" menu, I soon realised that the browser couldn't find my form. For some reason, every other browser saw it, but Firefox thought that it didn't exist. I was stumped. After spending time searching the Internet for answers, I finally stumbled upon the one I was looking for… I made the necessary changes, and Firefox began working! The only change that was necessary was to include the 'document' namespace when referring to the form. Both Google Chrome and Internet Explorer didn't need that, and intelligently guessed which form I was referring to. If you see a number instead of the form name, that refers to the index number of the form. If you only have one form on the page it will always be at index 0. When using 'getElementById' you must give the form an ID as well. P.S. This post was created with STE (a Wikidot Editor). 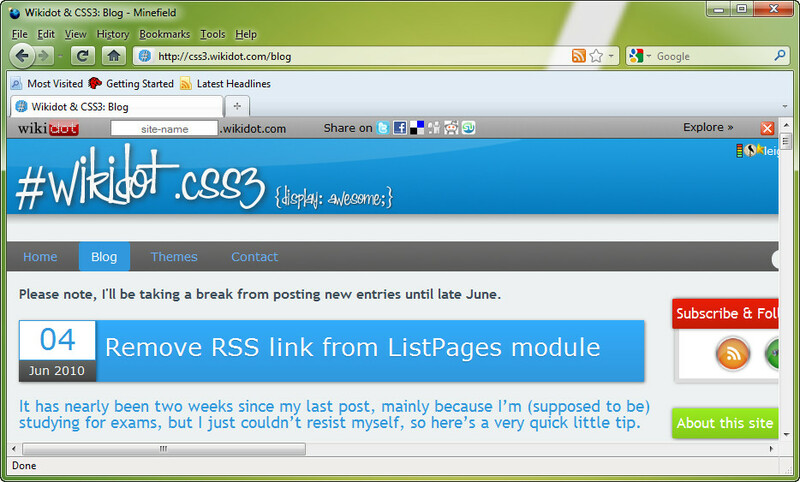 It was a surprise to me, so I posted this in case others weren't aware about the subtle difference with Firefox either. Your solution to give everything an ID would work as well.